I dig reading, but I mostly tend to read book on subjects I’m into, like music, pop sociology, counterculture, animation, the occult/paranormal as well as graphic novels. I don’t read quite as much fiction. 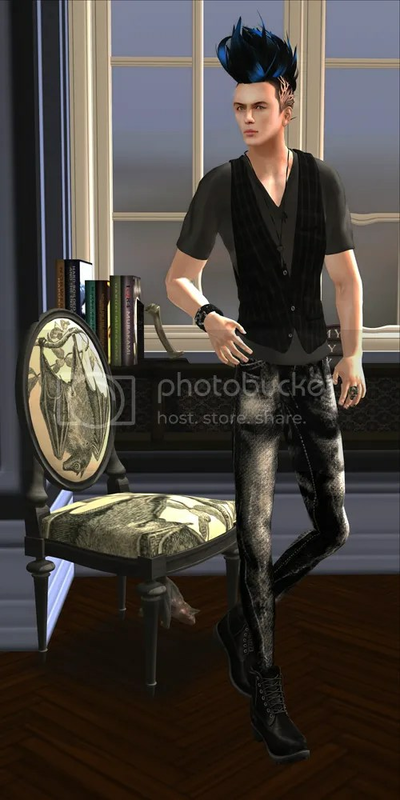 This outfit features mostly items you can find in the Menstuff hunt going till Sept 3rd and seemed like something good to do some reading in, especially of my kind of books. A punk bookworm look. Get on the Menstuff hunt while you can! Some really good stuff out there.